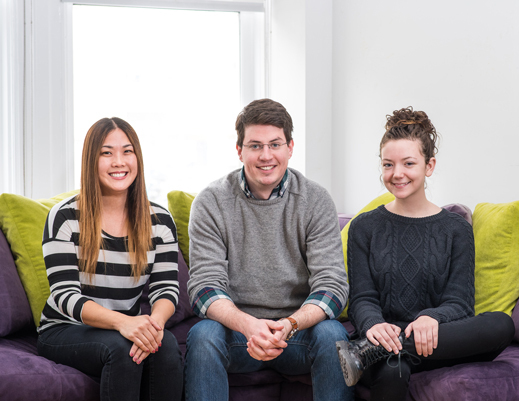 We are extremely excited to welcome Michelle Park, Zach Simons and Shannon Sankey to the Smith Brothers Family! Joining as an Accounting Assistant and Business Coordinator, Michelle Park brings to SBA a variety of experience in financial accounting, marketing, graphic design, and travel tours. Michelle has a graphics communications management degree from Carnegie Mellon, and loves drawing and participating in hip-hop dance fitness classes. Zach Simons comes to SBA as a Content Strategist and creator with 9+ years of experience sharing brand’s stories and messages with their desired audiences. Experienced in marketing across several categories, Zach has worked on clients such as Pittsburgh International Airport, Dollar Bank, American Eagle, and Carnegie Mellon University, and more. He thrives on the challenges in looking at desired results, and figuring out how to get from where a brand or organization is, to where they want to be. Zach is a graduate of Allegheny College with a B.A. in Communications and Psychology. As an Associate Social and PR Strategist, Shannon Sankey applies her classical creative writing training to her many roles in digital strategy and creative. She previously functioned independently as the copy and digital strategy department in a growing agency in Greensburg, PA, where she expanded agency capabilities in content, social, paid media, PR, and analytics. Shannon went on to a corporate environment in Pittsburgh to establish and optimize social identity for high-profile executives and associated brands. Now, while pursuing an MFA in Creative Writing at Chatham University, she’s excited to contribute to a dynamic team and challenging projects at SBA. Tinker. Meddle. Find what works – this time! While most agencies stand behind a single, definitive approach to developing work, we reject the notion of process as a static thing. We consider a deep understanding of the client’s business, their consumer and especially their category to be fundamental to our process. Non-negotiable. But getting to the best work is seldom a straight shot – a linear path. And it shouldn’t be. When you kick off every project by asking, “What are the category conventions and how can we break them?” you have to be open to a fresh approach.